Here at Automotive Locksmith Reno we work with you to bring you a fast and reliable automotive locksmith service that meets your needs! Locking your keys in the trunk of your vehicle or forgetting it in the ignition can be a frustrating experience. Miss placing or losing your keys can be even more! That is why our team of Automotive Locksmith Reno technicians are available 7 days a week to provide you with the service that you need! As a Reno locksmith company with many years of experience in the field, we offer a wide range of automotive locksmith solutions that will fit your needs. We know that automotive locking services are usually needed on the go. That is why all of our mobile locksmith technicians are fully equipped with all the right tools to get the job done on the spot and get you back on the road in no time! Ignition Service – Sometimes, malfunctions can happen, but when it comes to the type that will stop you from using your vehicle, it will need to be dealt with immediately. Ignition issues can occur from several reasons. Once you experience an issue with your ignition switch, it eliminates you from using your vehicle which can be frustrating. Whether if the ignition switch has worn out components, been damaged due to missus or intentional, our team of professional technicians can help! They are all trained to work with most make and models ignitions which include repair or replacement of the ignition switch. Car Key Made – losing or misplacing your vehicle’s keys can be an unfortunate incident. 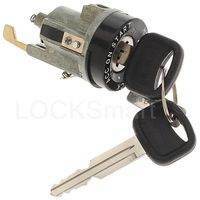 In addition to our usual automotive locksmith solutions, we offer key origination services as well. Why go to the dealership that will not only charge you hundreds of dollars, but will also make you tow the vehicle to them and might make you wait a few days for the service. All of our Automotive locksmith Reno technicians are fully equipped with the latest technology key cutting machines, so they will be able to make you a new key on the spot. 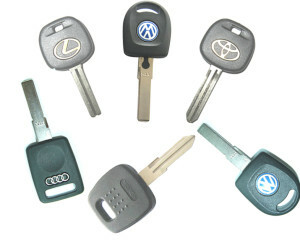 Our machines are capable of originating keys for most make and models in the market which include transponder keys too! For transponder keys, our service include programming of the new key to work with the ignitions. In addition, our technicians also do FOBs and remote programming as well.